Members of the Cupertino community who have taken “extra steps” to better their city will be recognized for their efforts later this year. The City is accepting nominations for its annual CREST Awards (Cupertino Recognizes Extra Steps Taken). 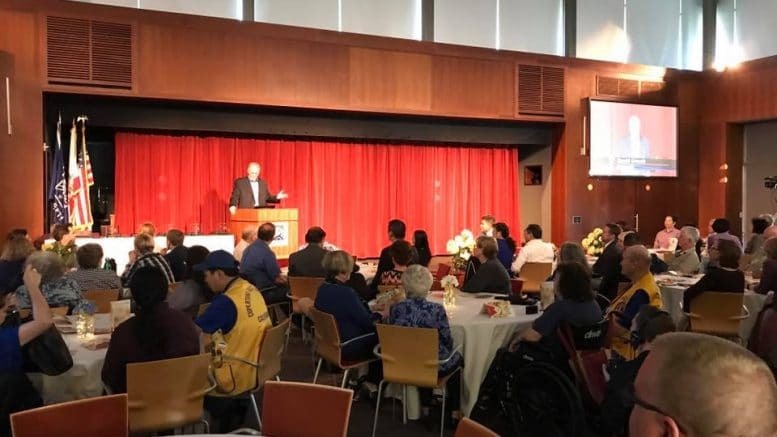 Each year, the City recognizes residents and community members who have made inspiring efforts in the realms of volunteering, technology, sustainability, and public safety. These deserving individuals are first nominated by fellow members of the community. The 2019 categories include: Lifetime Achievement Award (Volunteer); Individual of the Year (Volunteer); Organization of the Year (Volunteer); Rising Star Award (Volunteer); Innovator of the Year (Technology); Public Safety Champion of the Year; and Sustainability Champion of the Year. Nominations are due by 5 p.m. on Thursday, Feb. 28. Full nomination details are on the City website. Forms can be downloaded by clicking here. Be the first to comment on "City seeking nominations for CREST Award recipients"